One of the most simple and enjoyable activities that is good for both body and mind is walking. Living in San Diego affords the opportunity to stretch your legs anytime of year, indeed any day. Even in what qualifies for inclement weather here the raindrops, heavy fog, or high winds are not a barrier to spending some time outdoors. I find these fleeting times of less than ideal weather to be my favorite times for going for a walk. The change in surroundings puts the mind in a different mood and leads to thoughts that match the tone of the day. Trails on Cowles Mountain. Photo by Josh McNair. Walking is ideal for a quick bit of exercise or clearing your mind since it doesn’t require special equipment or travel to a sports facility. You can walk around your neighborhood, a nearby park, or even indoors. Of course, if a more inspirational setting is desired you can walk along the ocean with a soundtrack of crashing waves. 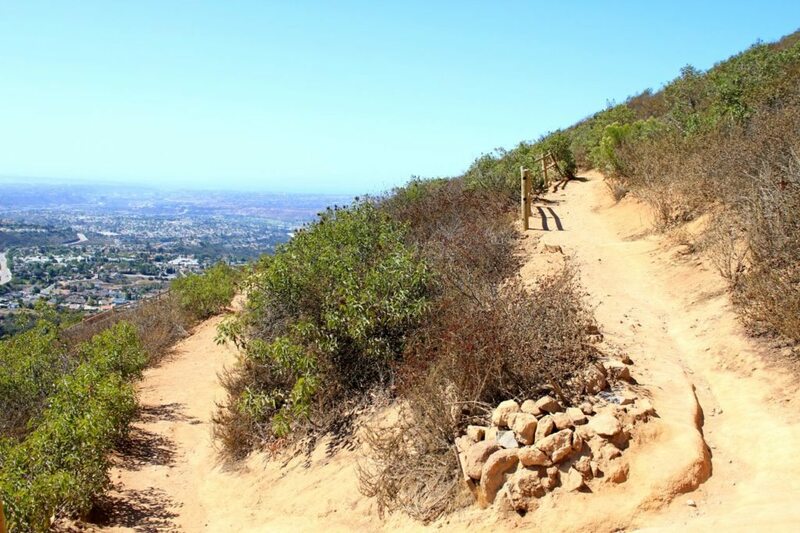 For the non-maritime-minded a stroll up Mount Soledad or Cowles Mountain provides inspiring vistas and a more strenuous workout. Walking is the basis for tales great (The Hobbit follows a long trek) and small (a trip to the grocery store or cafe). With the weather we have in Southern California there’s little reason not to take advantage and enjoy a stroll soon. Your mind and body will thank you for it. Looking forward to more articles about walking places or trails as well. Jim – I’m heading to the 3 Sisters trail this weekend so I’ll do a write-up next week. One of my favorites in the county. Check out Rose Canyon Open Space Park in University City. Trailhead starts where Regents Road dead ends, north of the 52, after you cross Governor Dr. It’s a wonderful place to walk or bike and enjoy nature. Shelley – thanks for the recommendation. I’ve heard people talk about Rose Canyon but haven’t been there before. Hopefully I can make it there next weekend.